An innovative way to sell our products that has been orientated to put our Partners and Agents first! *Click the How To Sell Link to learn the basics of agent affiliate marketing in an online video tutorial. Are You a Partner or an Agent? 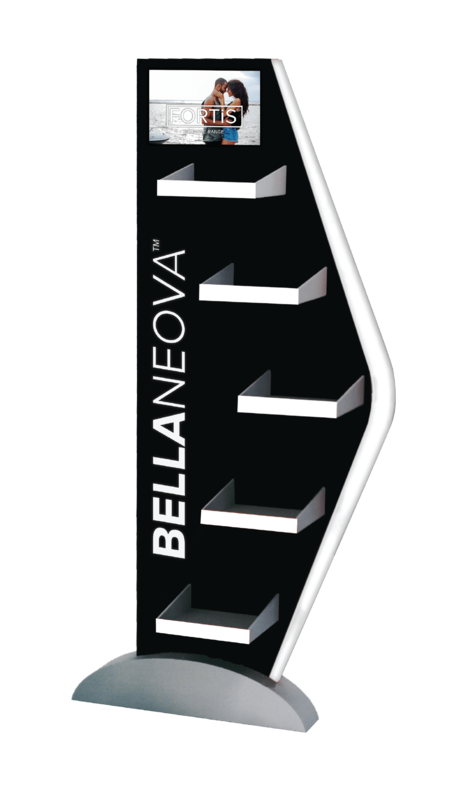 One who affiliates by means of intent, commitment, infrastructure and sales into a relationship with Bellaneova. As a Partner you will be provided with your own online selling portal by which you and your customers will be given full access to via your very own link and QR code. In addition, you will be provided with your tester pack to display to your clients in-store/premises before purchasing online with your links/stock (pre-purchased by you & fulfilled by us for in-store sales). 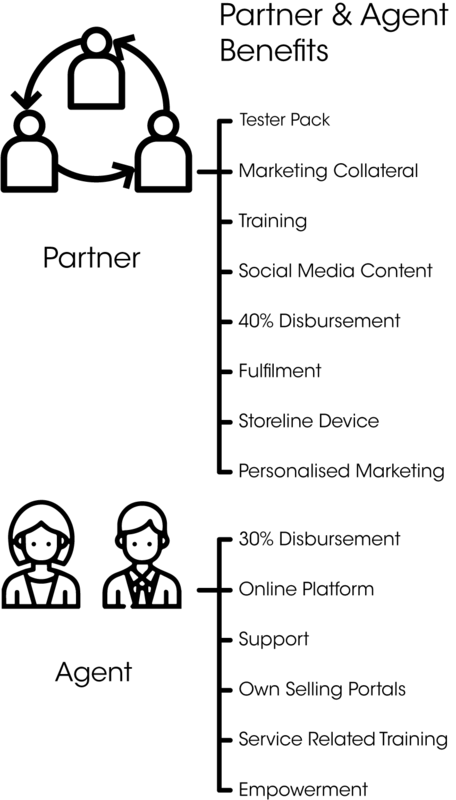 This document will begin the review process by which you will have to undergo in order to assure that you as a potential partner, have met the above mentioned partner criteria. 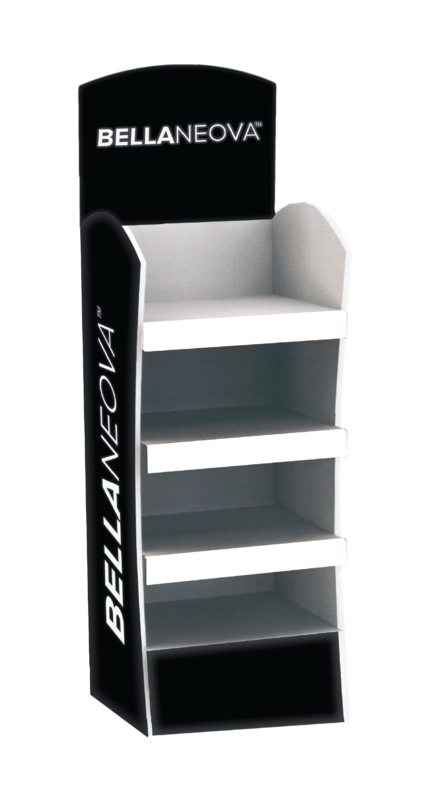 Simply use your Partner back-office to purchase your Bellaneova Products which will be fulfilled to your specified address by our fulfilment centre within 24-hours of purchase. Purchased stock is the responsibility of the individual Partner. The Store-line! A physical device which is connected directly to your Partner Selling Portal. 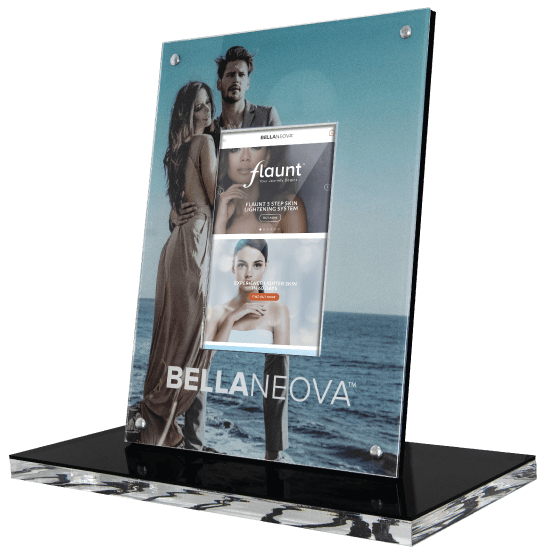 This Portal features a beautiful Bellaneova Branded Touch Panel which allows customers to instantly enter their payment details into the online platform, along with their location for 24-hour fulfilment of their products. This device is provided to our premium partners who have shown exponential selling ability, sales figures, and meet the location appropriate sales infrastructure to carry the unit. As an Agent you will be provided with your own online selling portal by which you and your customers will be given full access to via your very own link and QR code. Selling Online! Your selling portal is connected directly into your online back-office where you will be able to track your online sales, bank commissions and access Bellaneova online marketing materials & training. 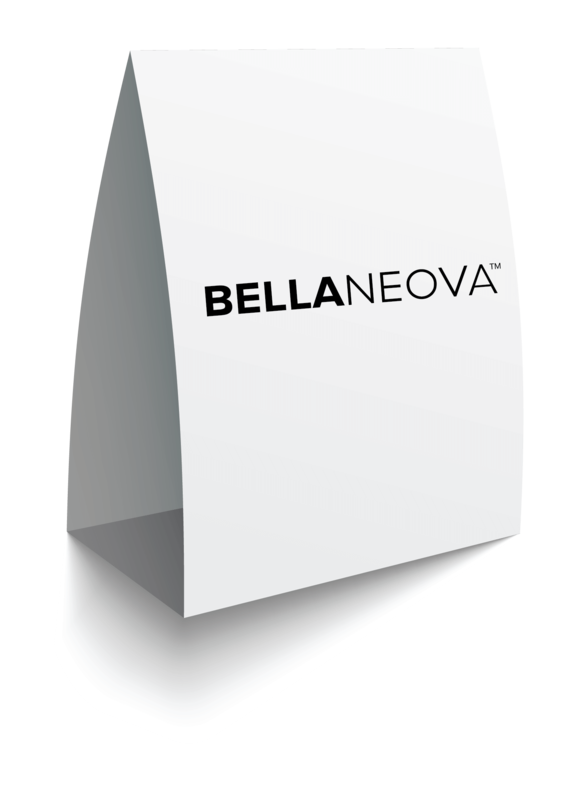 Simply sign-up as an Agent with one of our Bellaneova Representatives & login to your back-office. Navigate to the Links page, where you will find your sharable links. These links will direct your customers to your online selling portal. Once a client has clicked on the link, all they need do is add items of their choice to the cart & checkout with their payment details. Their order is received by the Bellaneova Fulfilment centre and dispatched to the client within 24-hours. Your commissions are calculated on your sales and paid out to you weekly. 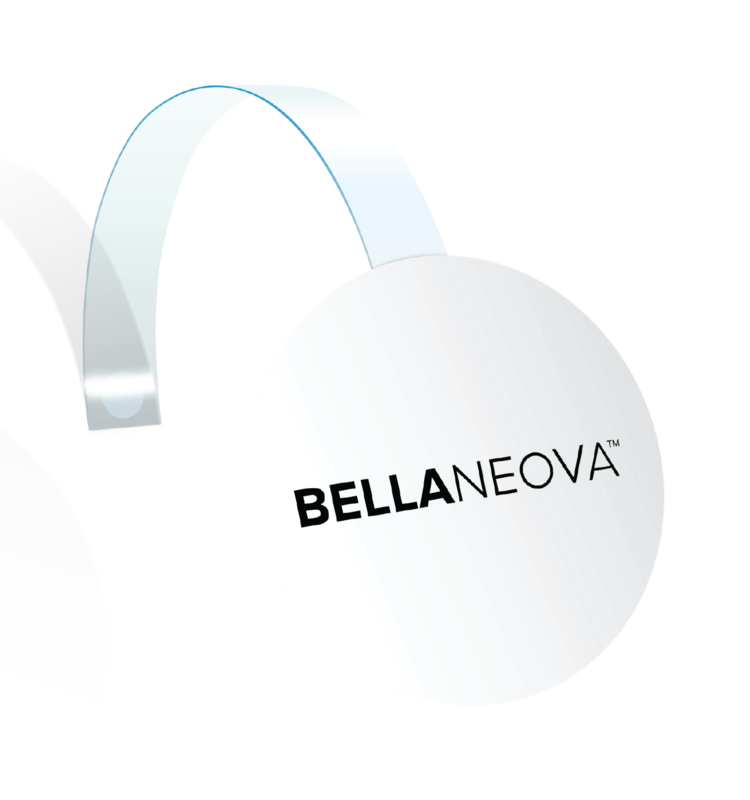 The most innovative way to sell with Bellaneova. 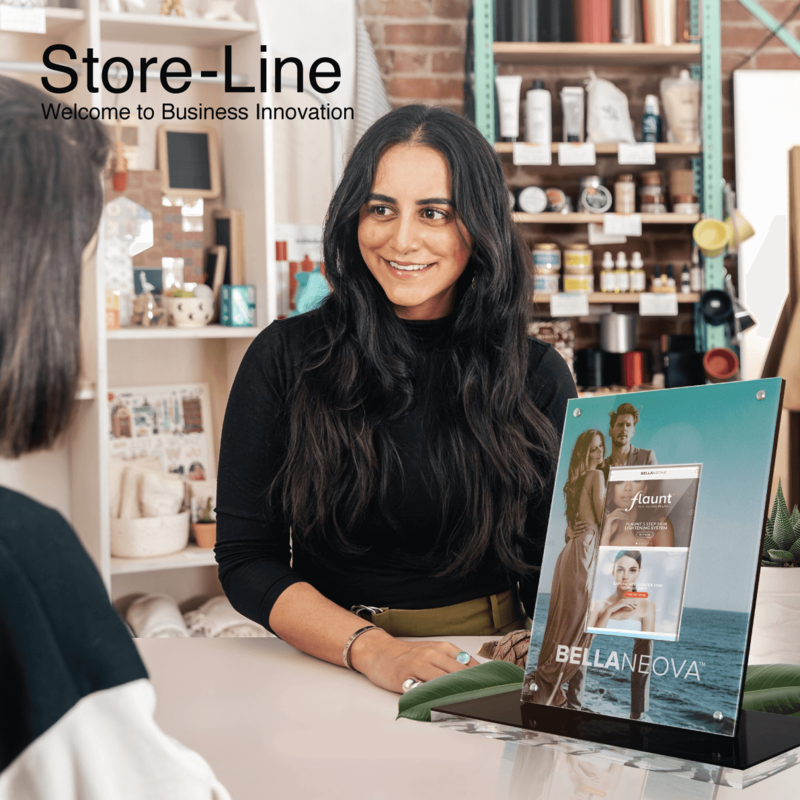 The Store-Line offers a unique point of sale unit for our established partners. The device allows for instant in-store sales with 24-hour fulfillment to the client and our extraordinary weekly payout promise. 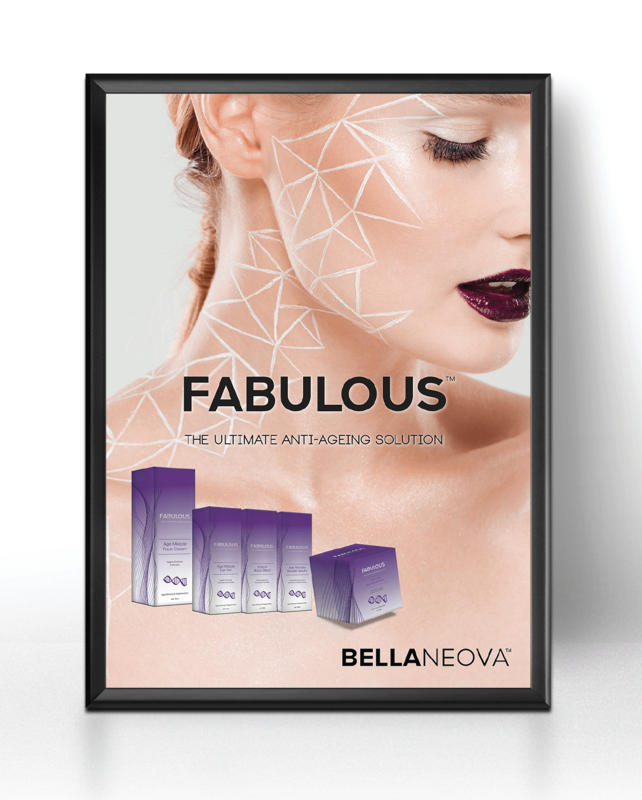 The collateral provided to our partners who have met the requirements and the desired sales targets and achieved the our value added marketing collateral to aid their businesses in Bellaneova Product Sales.